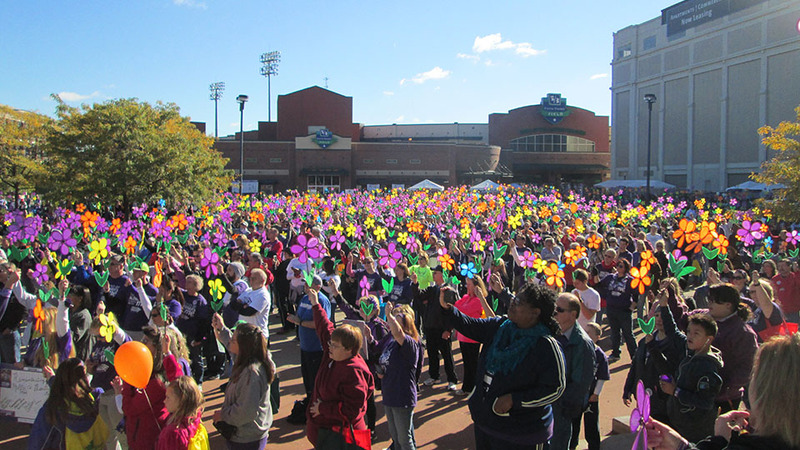 The Alzheimer's Association invites you to join them at the Dayton Walk to End Alzheimer's on Saturday, October 8. The Walk will be held at Fifth Third Field - home of the Dayton Dragons. Registration will open at 8:30 a.m., and the Opening Ceremony will begin at 10:00 a.m. The Walk will start following the opening ceremonies. The Alzheimer's Association Walk to End Alzheimer's® is the world's largest Alzheimer's awareness and fundraising event. Held annually in more than 600 communities nationwide, this inspiring event calls on participants of all ages and abilities to reclaim the future for millions affected by the sixth-leading cause of death. By participating in the Walk, you will help fuel the Alzheimer's Association's mission-related initiatives of research, and care and support in the Miami Valley. For more information and to register for the Walk, visit alz.org/walk or call (800) 272-3900. Alzheimer's disease is an epidemic, currently affecting more than 200,000 individuals in the state of Ohio. With your help, we can end this devastating disease together. The end of Alzheimer's starts with you. Will you join us on October 8?